Ruaha National Park is the 2nd largest Tanzanian national park yet ruaha park is still little known and 2nd to none in wildlife diversity. Ruaha National Park is Tanzania's 2nd largest national park but ruaha park is second to none in species diversity due to Ruaha's unique location between hemsipheres. Apart from the park's diverse mammal species, Ruaha National Park is a birder's paradise with 526 species & counting. Click Ruaha park for species lists. The Great Ruaha River is the only perennial river in Ruaha National Park and vital for Ruaha park through the long dry season. Ruaha River Lodge is located in a privaleged position in a bend on the Great Ruaha River with the best game viewing in Ruaha National Park. 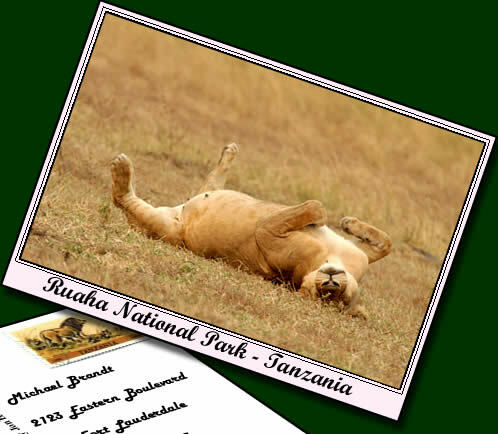 Click to learn more about Ruaha National Park.